Iron twin screw turbine vessel built in 1891 by Cammell Laird Brothers of Birkenhead (Build Order no. 583, Yard No V0580) as a Passenger Tender. 1891: Launched as SIR RICHARD GRENVILE (I) for Great Western Railway. April 23rd 1891: Her four trial runs on the measured mile in the Mersey gave her an average speed of 12.25 knots. April 30th 1891: Left the Mersey. 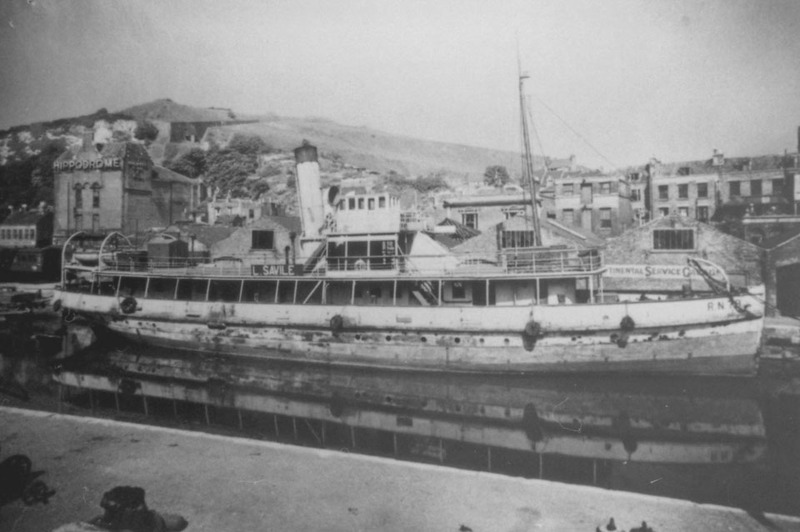 She was intended as one of their Atlantic liner tenders to meet the large mail steamers frequenting Plymouth, and also as an excursion steamer along the coast. Operating from Mill Bay Dock, Plymouth and as the largest of the tenders owned by G.W.R., she joined SIR WALTER RALEIGH, FRANCIS DRAKE and SIR JOHN FROBISHER. 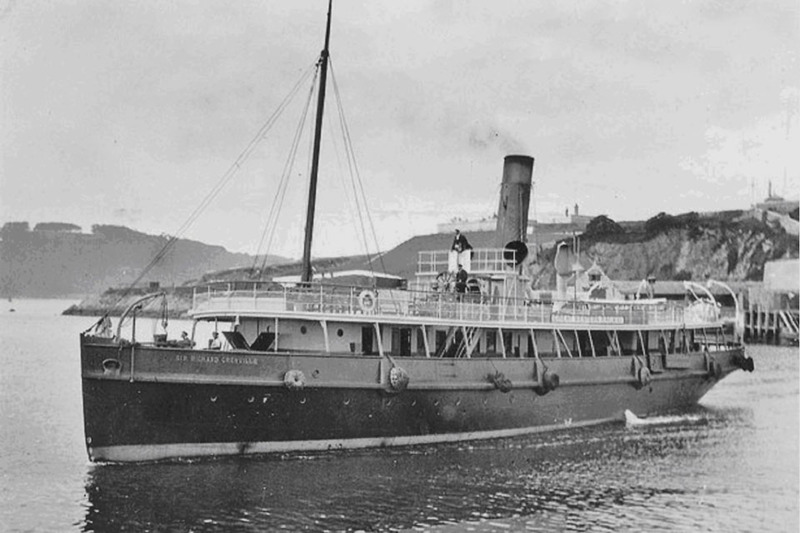 March 10th 1902: Used to transport King Edward VII, Queen Alexandra & party from the Royal Yacht to Millbay Pier. 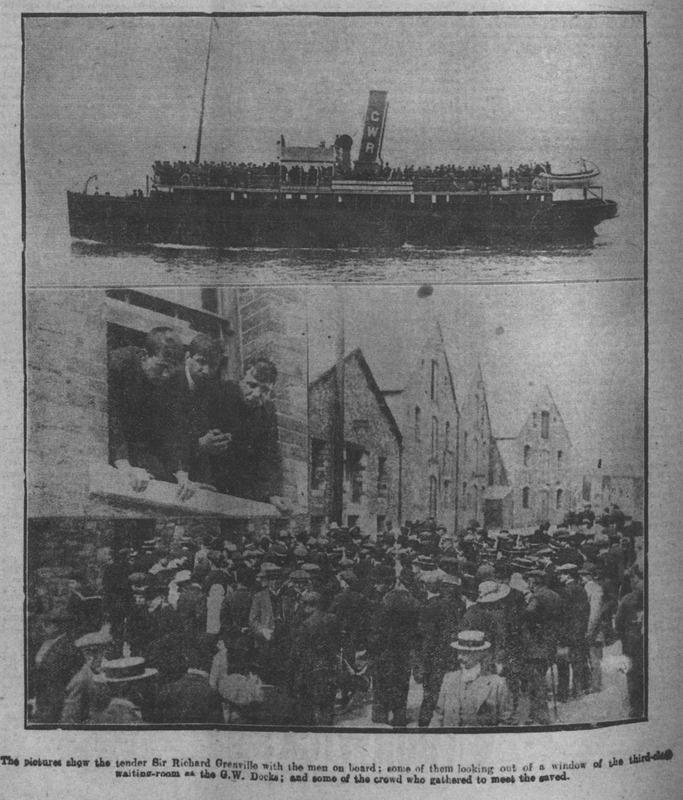 April 28th 1912: Ferried surviving members of S.S. TITANIC’s crew from S.S. LAPLAND to Plymouth. 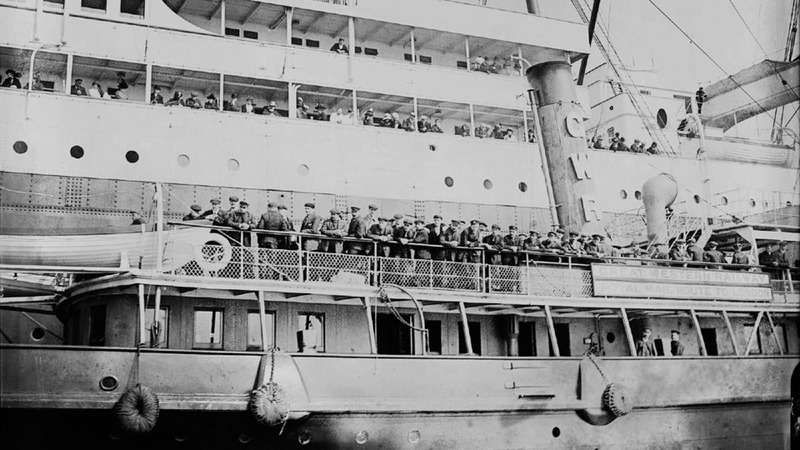 October 5th 1931: Arrived in Dover to act as a tender taking passengers to and from ships off Dover. 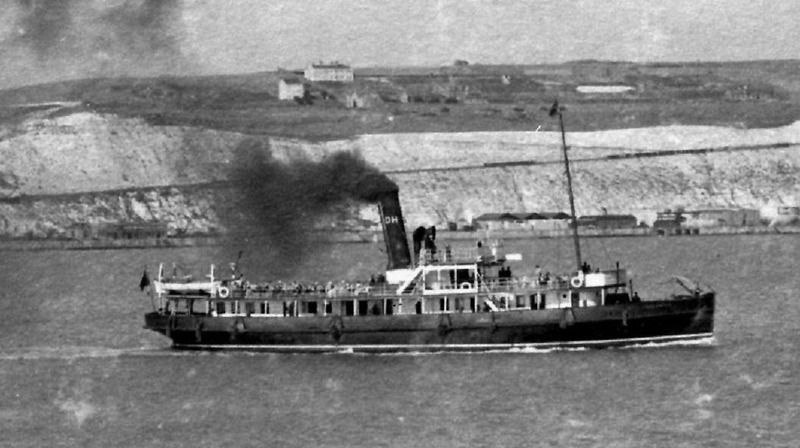 Initially remained as PENLEE. 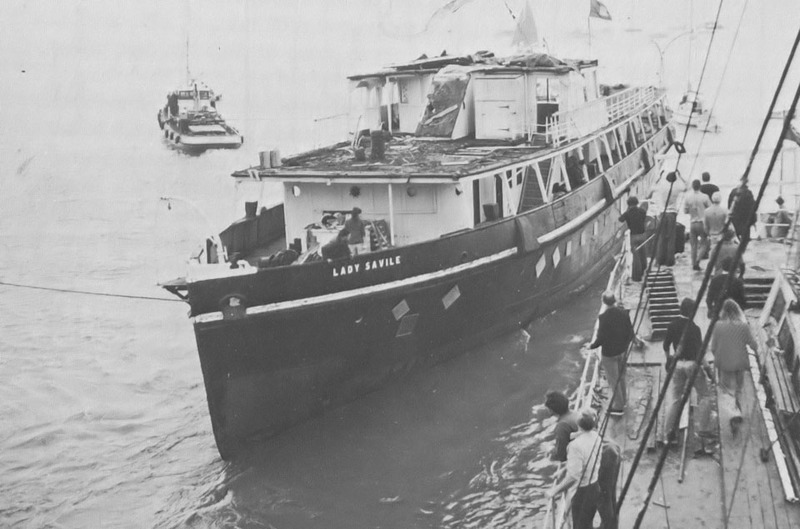 January 1932: After being overhauled and repainted at Dover she was renamed LADY SAVILE (the name the wife of the Admiralty’s representative on the Harbour Board). 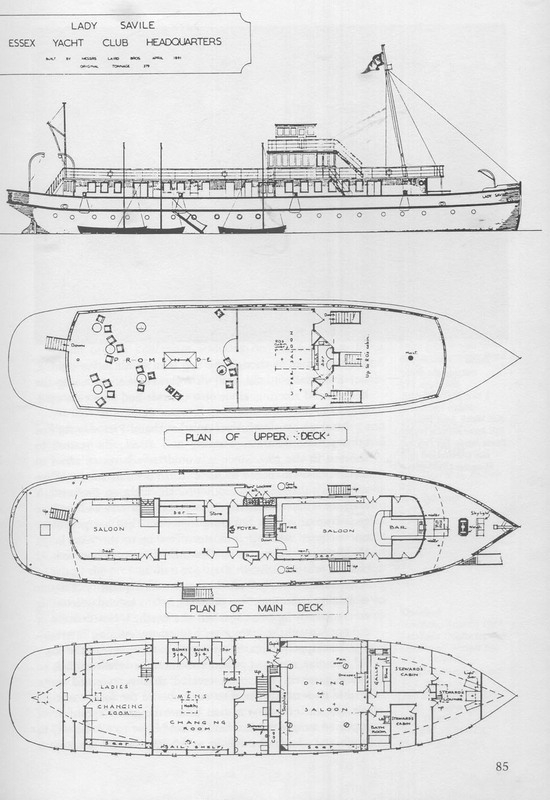 During the W.W. II, she served as a Clydeside tender to QUEEN MARY and other troopships. 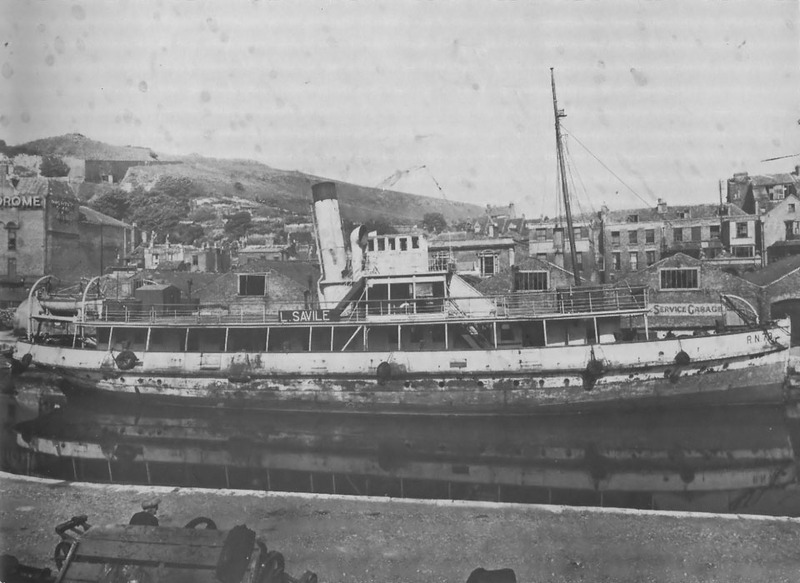 “Now with an enclosed wheelhouse, the grey painted vessel was laid up in the Wellington Dock wearing the name ‘RN 78’ on her bow and looking very much the worse for wear with large areas of rust across her hull and superstructure. The liner traffic for which she was built had evaporated and post-war austerity had all but killed the coastal excursion trades.”. 1946: Final year at Dover. 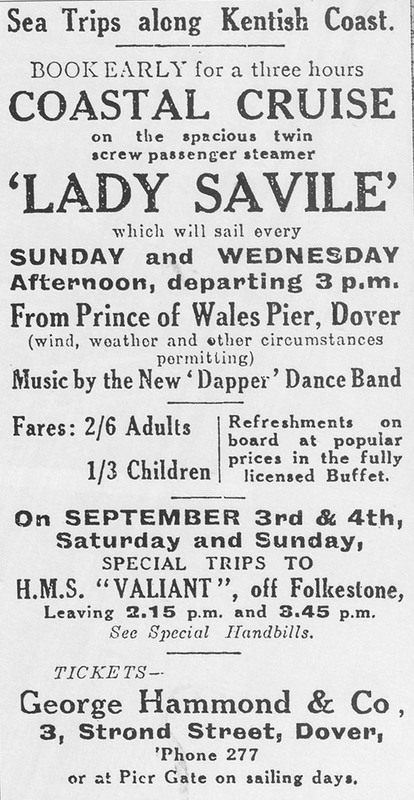 1947 (Summer) : “Looking for new headquarters, Essex Yacht Club were made aware the LADY SAVILE was available to purchase. “The vessel was valued at £7,000 but approximately £2,500 would be required for the removal of machinery, boilers and auxiliaries………….an offer of £2,000 was made, and as far as can be discovered this was accepted.”. 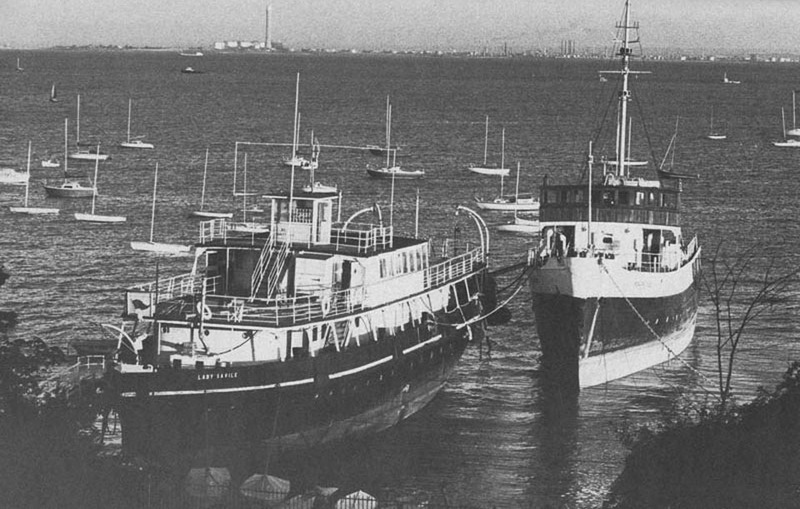 September 14th 1947: After being on the slip undergoing repairs and renovations, towed by the seagoing tug ZEALANDIA (returning to the Thames from Genoa) from Dover to Leigh-on-Sea and beached her at Chalkwell, Essex. She was converted into a Club Headquarters with minimum of structural alteration. The engine room was floored and fitted as a changing room with four bunk rooms etc..
1976: She was replaced by the Trinity House Pilot cutter BEMBRIDGE. September 25th 1976: Towed away to be broken up at Queenborough, Sheppey. All information is believed to be correct and no responsibility is accepted for any errors or omissions. All items included in this article are subject to © copyright. 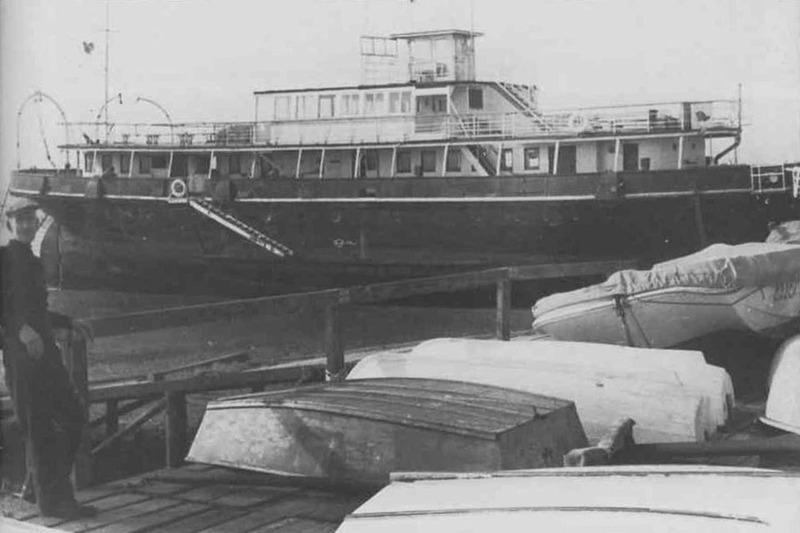 We would like to take this opportunity of thanking: Essex Yacht Club and Paul Wells @ Dover (Kent) History Pages for their assistance in producing this feature. Found this article interesting, also third picture down showing in the background the cliff top buildings, good one for Dover History Pages .